Halloween can be scary if you don’t have the right insurance. Halloween can be great fun: Dressing up, trick or treating, watching classic scary movies. But those movies aren’t the only scary thing about the autumn holiday. 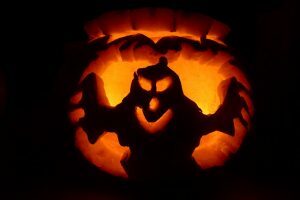 Here are some common hazards of Halloween, a few tips for avoiding them, and how your property and casualty insurance can help you handle it, should the worst happen. This is the biggie. Halloween is the deadliest day of the year for young pedestrians, with twice as many deaths as on a typical day, according to auto insurer State Farm. Most at risk: kids ages 12 to 18 — the ones often roaming the streets without parents and with distractions like friends and cellphones. Another hazard for everyone on the streets: drunken drivers. As Halloween has become a more adult holiday, it also has become a major drinking occasion, says the National Highway Safety Administration. The share of fatal crashes involving drunken drivers rises from the usual 30% to nearly 50% on Halloween, the agency says. About 20% of pedestrian deaths on Halloween involve a drunken driver. The road isn’t the only dangerous place when it comes to Halloween-related injuries. Falls and cuts are pretty common as well. To handle these hazards, you’ll want to be sure your auto insurance, homeowners insurance and liability insurance are in order. Sometimes tricks turn into treats, or Jack ‘O Lantern flames get out of control. We know vandalism is a risk on Halloween, from getting your car egged to your yard toilet papered. Theft, too, can come into play, as some trick or treaters view yard decorations as fair game. As with vehicle vandalism, residential fires are more common around Halloween, according to the U.S. Fire Administration. The biggest causes are cooking and heating, but carelessness, open flames, electrical malfunctions and intentional acts can also be to blame. To deal with those dangers, make sure your homeowners insurance is taken care of. Walk around your property to identify and minimize dangers such as exposed electrical extension cords. Clear walking surfaces are debris free. Make sure your yard and the approach to your front door is well-lit to aid those unfamiliar with your property. Place decorations in safe places. One thing you can do to give yourself peace of mind is to speak with your insurance agent and make sure you’re covered. Seeman Holtz Property & Casualty, part of the Seeman Holtz family of companies, represents more than two dozen national and regional insurance carriers. Among the company’s services: Seeman Holtz schedules regular meetings to make sure you have the right policies in place.